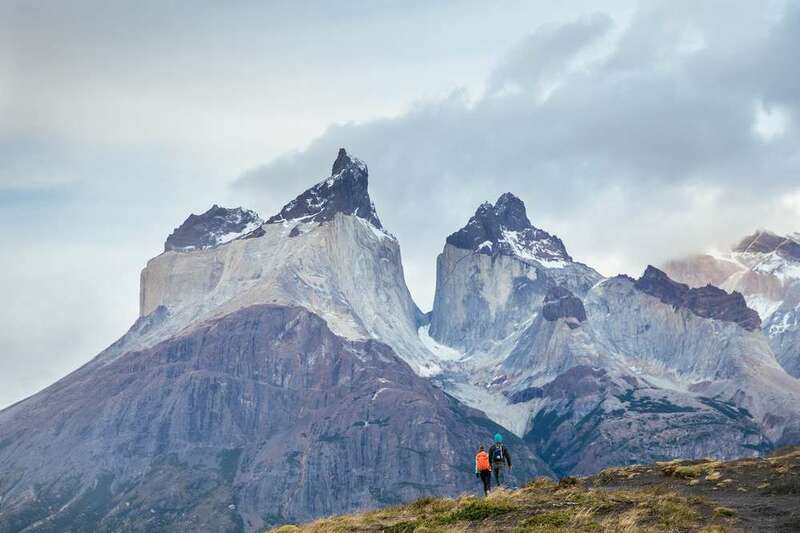 Four seasons, one day—this is Patagonia. 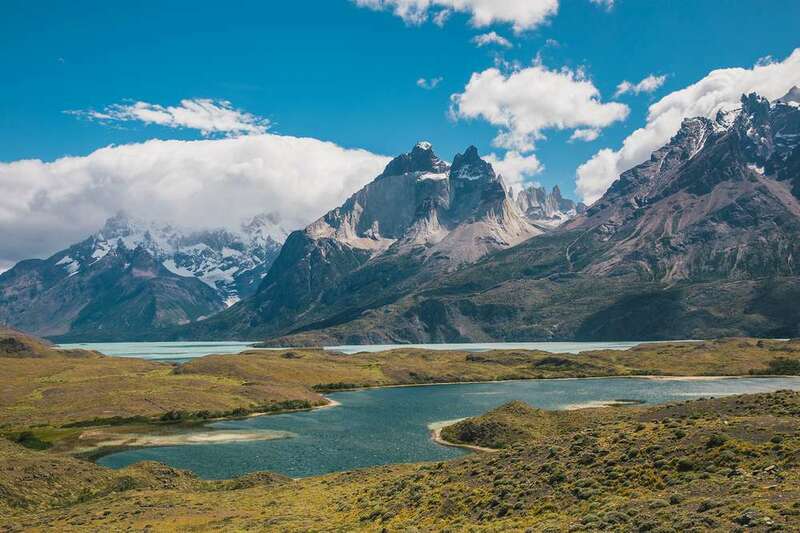 Tucked away in the southernmost tip of the Americas, Patagonia’s summers are short; one minute, the sun warms your back and the air is calm, and next there’s a rainstorm blowing sideways. 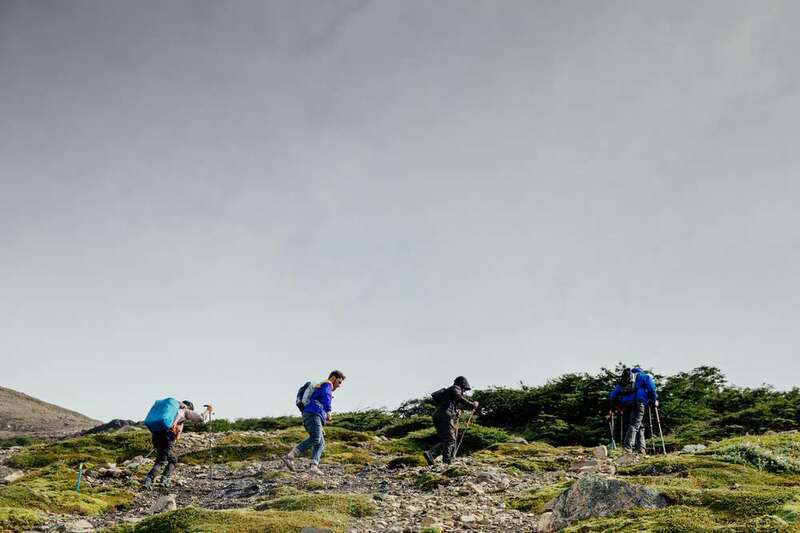 Patagonia’s harsh environment challenges both your balance and ability to see. More than that, it opens your mind to the incredible vastness and beauty of wild and remote places. It’s a land where trees grow horizontally due to the intense year-round wind and granite peaks reach high into the sky. Leaving the cold winter air and piles of snow on my Salt Lake City porch behind, Whitney, Mitch and I packed up and headed south for a spring getaway. We had only one goal in mind: to escape. 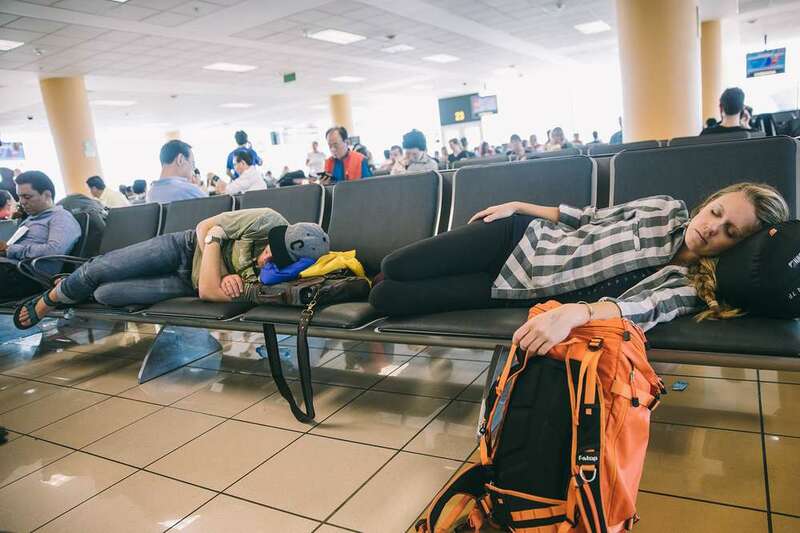 With more than 24 hours of travel on our flight itinerary and five plane changes, the airport became our friend. Somewhere between Puerto Natales and Torres Del Paine. 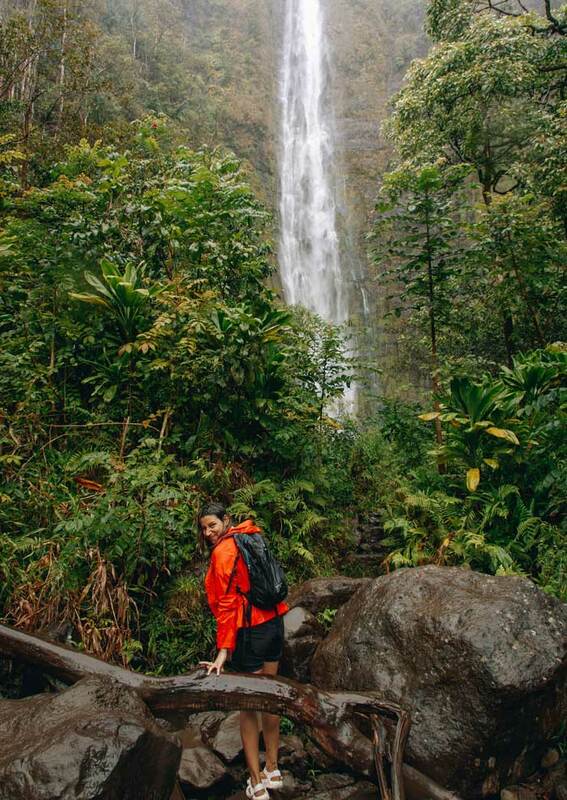 There is no need to ever rush a trip like this – you want to soak up as much as you can with the time you are given. It wasn’t until I found myself pinching my pointer finger and thumb together to zoom in closer on the map, that I realized I was a true millennial! 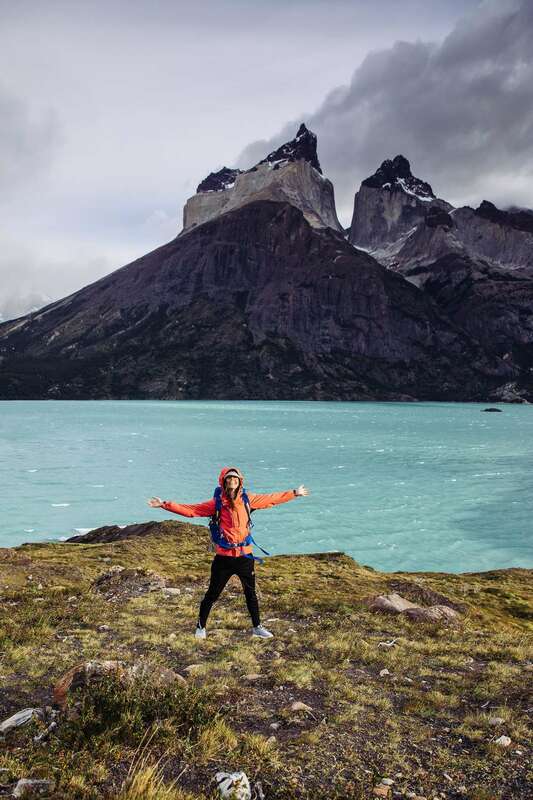 With Torres del Paine being our main point of interest, we knew we had to isolate a region to explore with just 10 days in Patagonia. From Punta Arenas, we rented the camper truck and drove to Puerto Natales and finally the park. 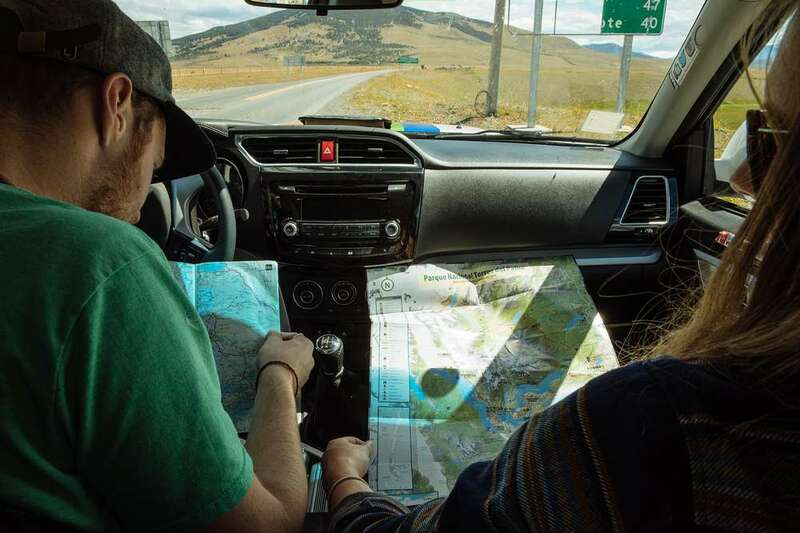 We enjoyed a few pit stops along the way, making sure to load up with groceries, supplies, and extra fuel in Puerto Natales before entering more remote parts of the park. Pro tip: Every time you see a gas station, fuel up! 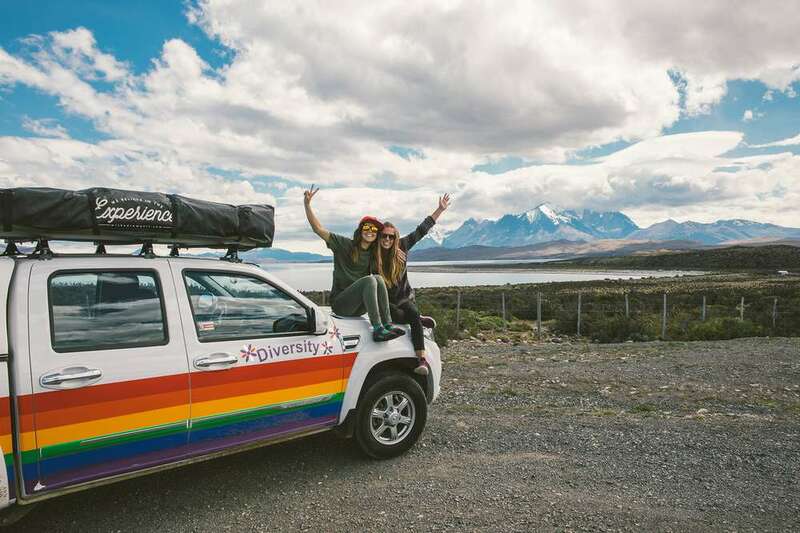 Wicked Campers are everywhere in Patagonia, and you’ll spot them from a mile away with their custom paint jobs of varying acceptable and wacky degree. Shop the Original Universal Premier. Laguna Amarga, one of the main entrances to the park, is located off Ruta Y-150 where all busses pass through and park entrance fees are collected. 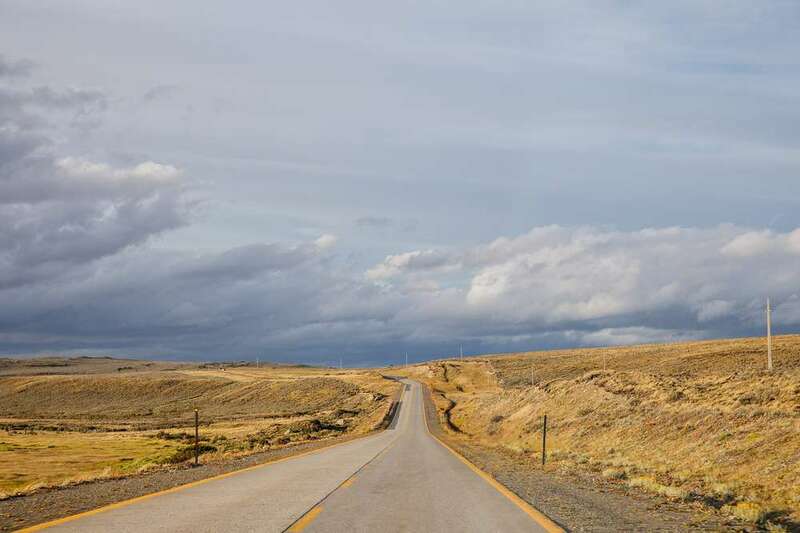 It is a popular launch off for visiting the rest of the park and if you’re anything like us and the 150,000 other annual tourists, you’re going to want to stop and stay awhile. 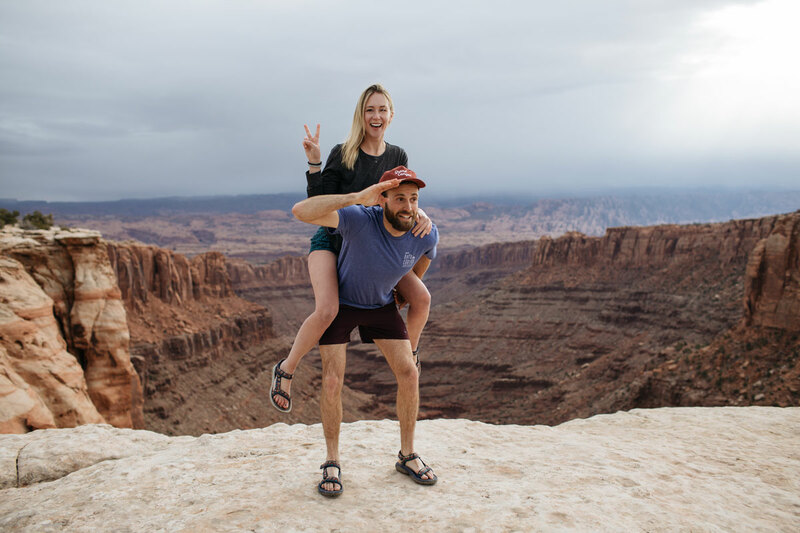 Mitch was a real trooper and hiked miles and miles in his Teva Original Universal Premier sandals, truly putting their toughness to the test. He proudly reports they passed with flying colors and he truly felt he strapped into freedom! 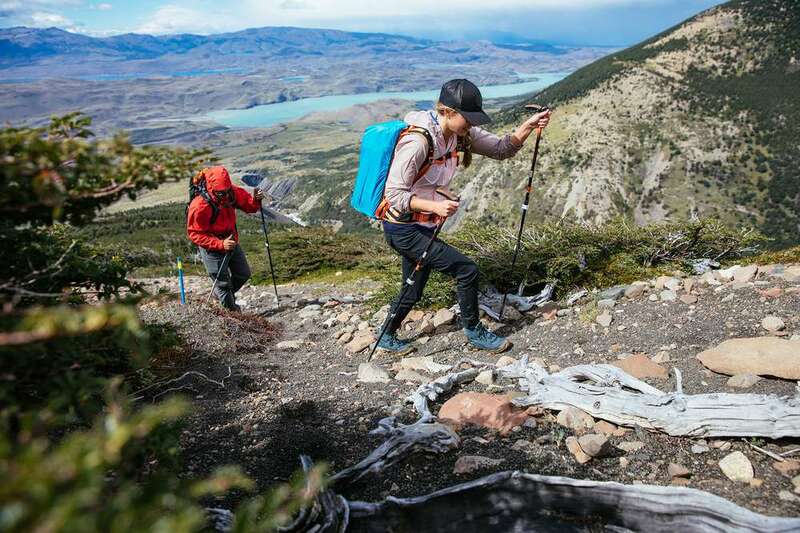 About halfway along the famed W circuit, Los Cuernos is part of the Paine massif in the Southern Andes of Patagonia. 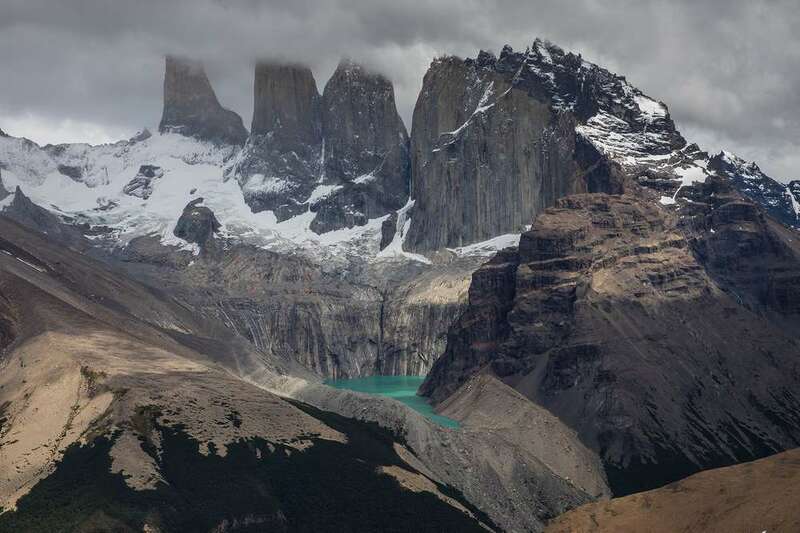 Coupled with its neighboring peaks, Los Torres and Paine Grande, it is truly a sight to behold. Their unique shape and coloring is due to erosion and different layers of black stratum and grey granite rock. Granite, being the stronger rock the outlives most others, withholds much of the erosion and relentless winds – giving the peaks a dynamic look where they cap out in black with the last of strata still holding on. 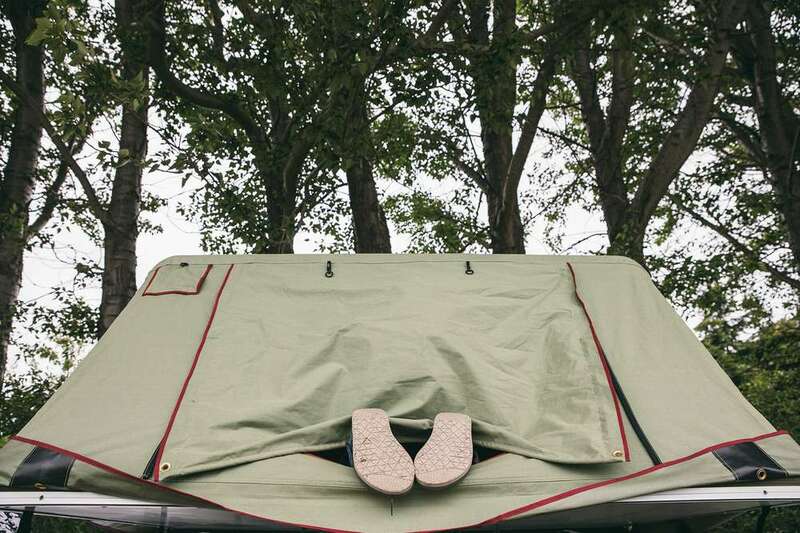 Shop the Women’s Ahnu by Teva Sugarpine Boot. 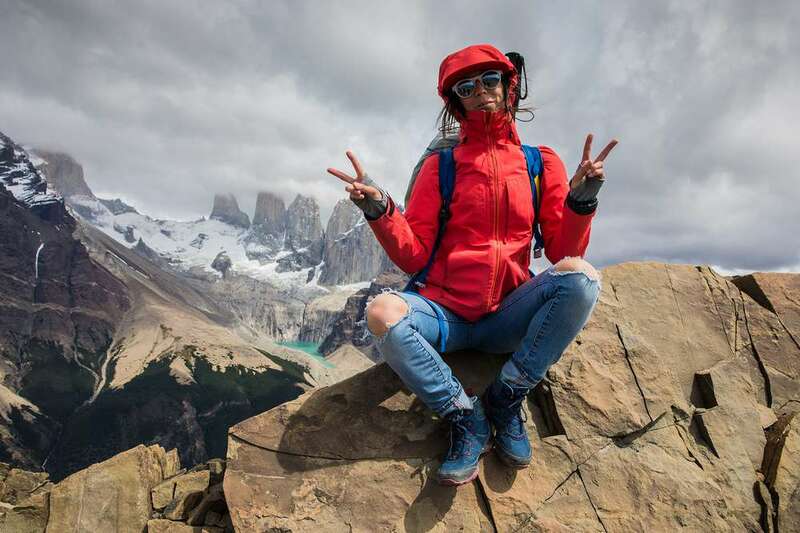 Trekking to the 5,000-foot summit, Cerro Paine, through the Ascencio Valley and beyond the tree line is sure to blow you away. 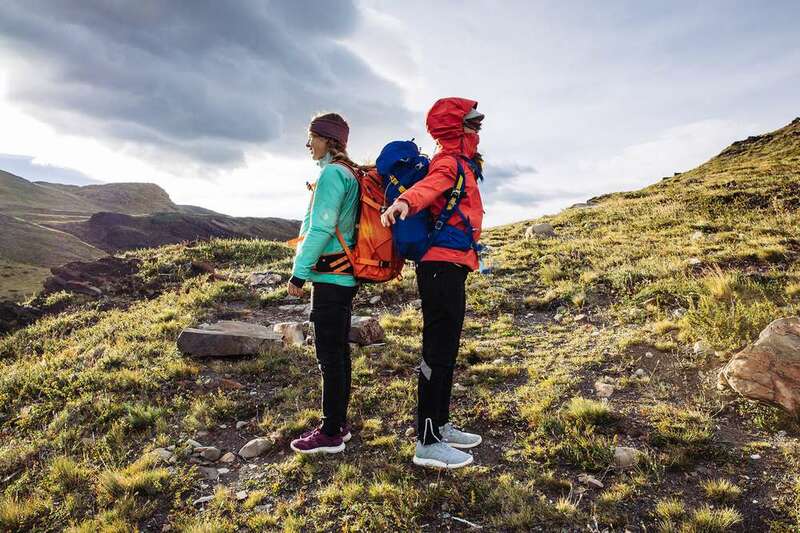 The ascent begins in the grassy steppe region where a meadow at the base of the mountain range meets a river, eventually gaining in elevation and steepness. All the way up you are surrounded with iconic views of azure lakes below, glaciers on both sides and huge granite towers above. This less-traveled path is on a private estancia and does require a local guide. Shop the Women’s Arrowood Swift Lace. You’d be surprised at how hazardous a slippery ladder can be after a light nighttime drizzle. 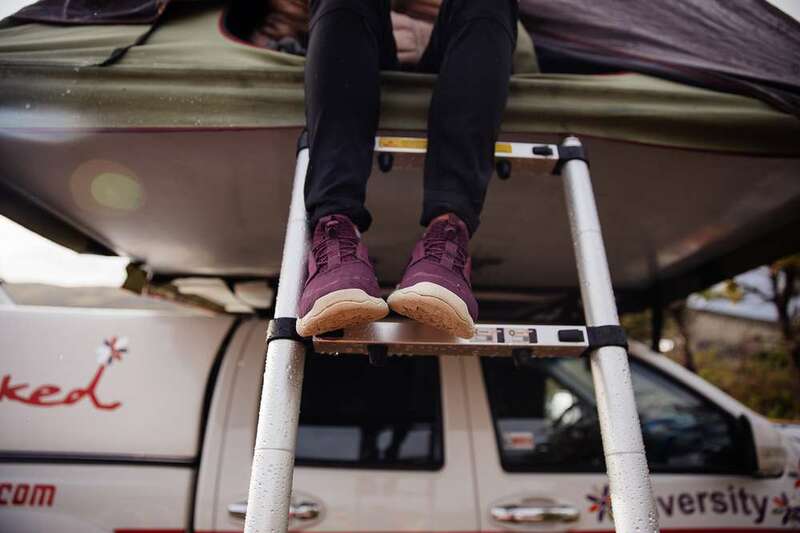 Whit mastered the ladder and always kept her Arrowood Swift sneakers hanging on the side for quick morning access to avoid slippage. 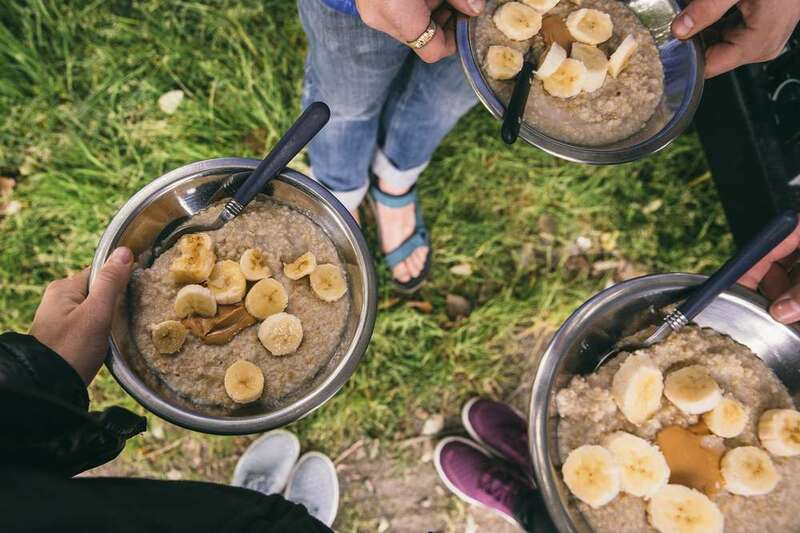 Growing up, my mama always said, “Eat your oatmeal, it sticks to your ribs!” I never understood what that meant but it seemed like a good idea. In an attempt to communicate, we yelled and laughed through the winds, our voices disappearing into the gusts as we tucked our heads down and watched our feet climb up, up and up to the summit. Lake Pehoe emerged from the Salto Grande waterfall, fed mainly by Nordenskjold Lake in Southern Chile. 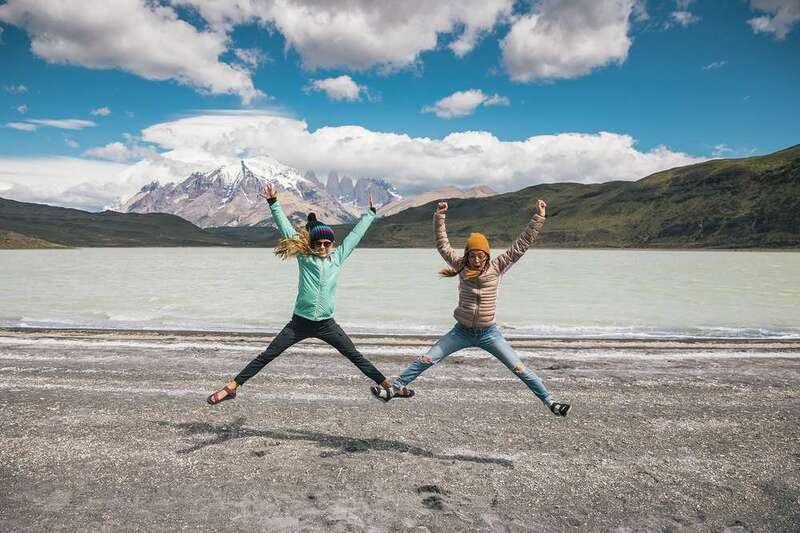 Surrounded by the beloved grazing wild guanaco, native to the mountainous regions of South America, the lake serves as a perfect foreground to the majestic outcropping of granite peaks behind. Pehoe, with its milky turquoise colors as a result of glacial erosion, is one of Patagonia’s most well-known lakes. After doing a quick yoga session, we decided the best way to wake up our bones and brains would be to do some unison jumps! Boy, were we right. “You guys, we’re waking up at 5am, sharp.” This was Whit’s demand. She insisted we watch the sunrise over the horns, Los Cuernos, before we leave the park. Her alarm went off at an ungodly hour and we wrestled in our bags and Whit hit snooze. Turns out, 6am was the perfect start to our sunrise jaunt to the horns and we made it just in time to watch the whole landscape glow with a warm and dewy gold. We gawked at this glorious scene for long enough to take 2,397 photos of it because, well, look at it. I learned that the wind speeds in Patagonia get up to 75 mph during the summer months. 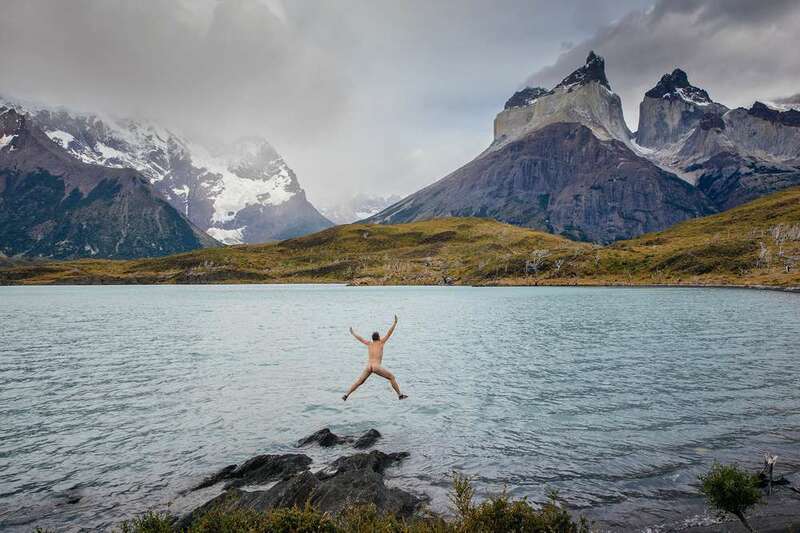 I figure if you’re gonna get blown off an edge somewhere, it may as well be in Patagonia. 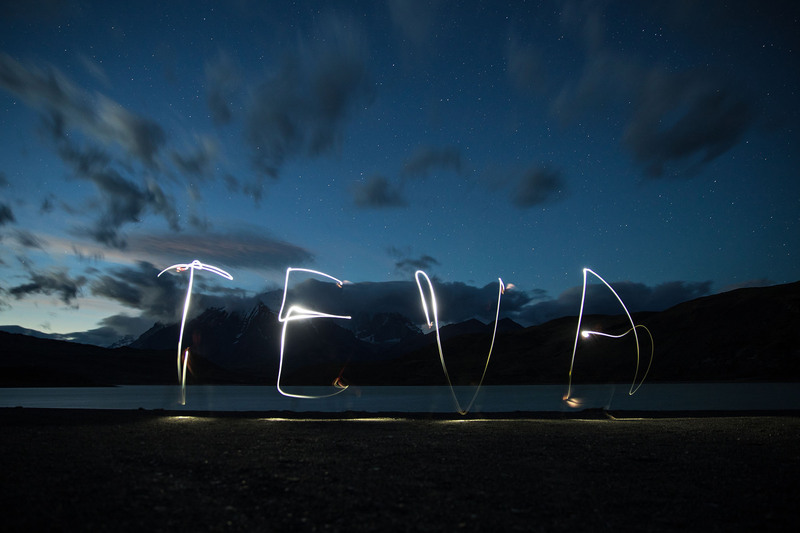 Evenings in Patagonia wind down in the simplest of ways. After a long day adventuring in the mountains, we retreated to our home on wheels and lived where we parked. 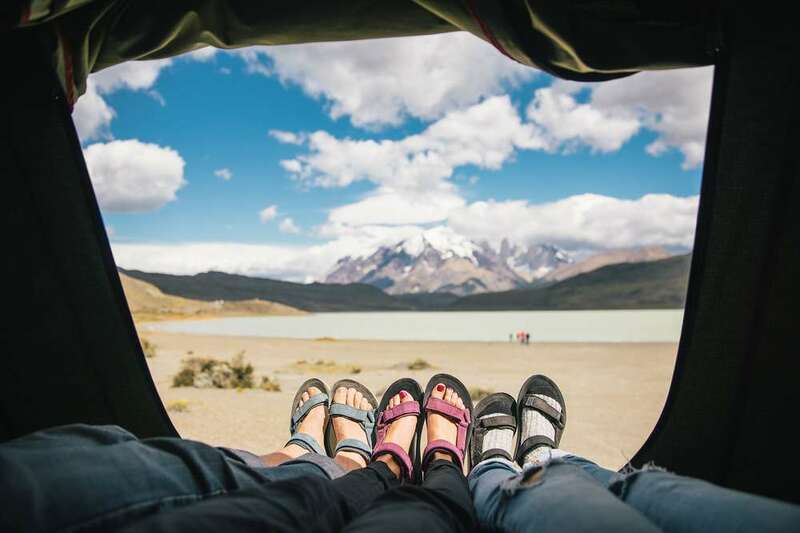 Shop the Women’s Ahnu by Teva Collection. My lungs hurt, my heart was happy, my soul was rejuvenated. I drank fresh water from a glacial stream, celebrated the summit with a sandwich and some chocolate cookies, tripped on at least 1,000 rocks and managed to do it all in an old ripped pair of jeans. 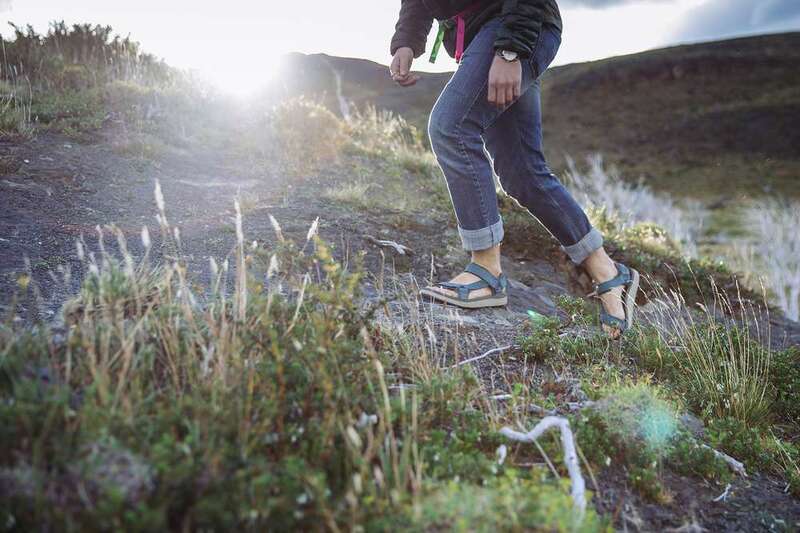 Shop all the styles featured in this story at Teva.com. 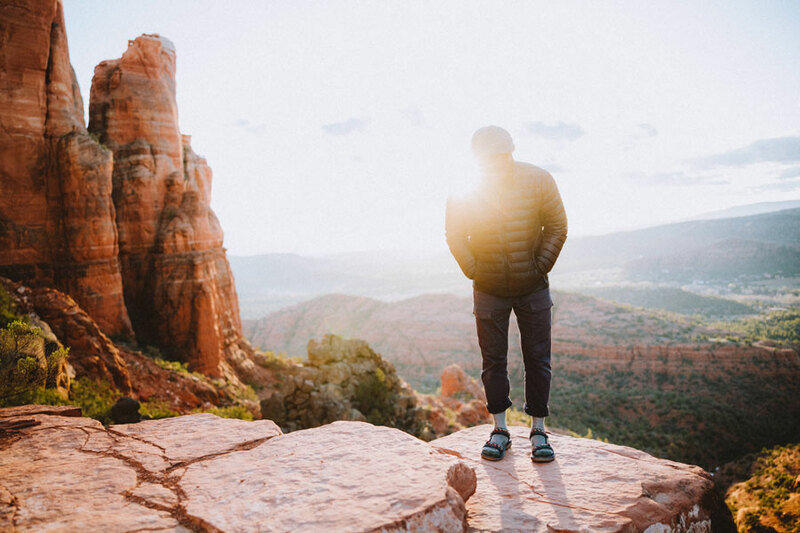 Show us how you #strapintofreedom on Instagram @Teva.